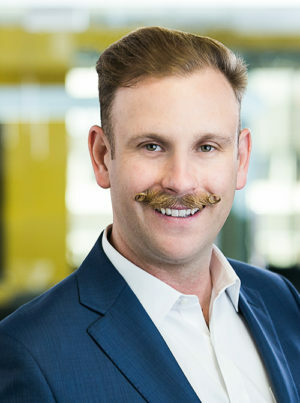 Responsible for overseeing internal operations for the Douglas Wilson Companies, Mr. Nicholas Wilson works closely with the fiduciary workout group to provide unique solutions to troubled real assets and/or operating companies caused by non-performing loans or partnership disputes. Most often, he and the fiduciary team have been able to maximize the financial recovery due to the firm’s deep expertise in real estate operations and development, the obstacles that can stunt an operating business and the complexities that arise from troubled loans themselves. In addition, Mr. Wilson works closely with the Douglas Wilson Companies’ Senior Living Division, providing strategic planning on the acquisition, design and development of Assisted Living and Memory Care communities in the Western United States. As President of Wilson Property Management, Mr. Wilson provides Asset and Property Management services to institutional and privately held entities alike. He earned his Bachelor of Science in Economics from the University of Colorado at Boulder. One Hundred Mill is a $200 million mixed-use creative office and lifestyle-hotel development located on a 2.51 acre parcel widely considered to be the gateway to Tempe’s downtown core. This landmark project consists of a 15-story 280,000 square foot Class A office building, a 15-story 252-key Kimpton hotel and 20,000 square feet of restaurants and retail. Mr. Wilson coordinated the land procurement, project design & entitlements. Currently he focuses on the leasing and marketing of the project. This project site is located in Downtown San Diego and owned by the Slayen Family Trust. As part of a long-term entitlement project, Mr. Wilson has been involved in working closely with the family through a value assessment, yield analysis and best use analysis of the project. In early September 2014, an entity controlled by Douglas Wilson Companies acquired 50 acres of the 650 acre Pointe San Diego project located in Spring Valley. Included in this acquisition was a 6 acre improved site approved for the development of an 88 unit apartment complex. The 88 unit apartment site was sold to a local apartment builder/investor in October 2014. The remaining 43 acres of the acquisition — which was the site of the proposed Pointe Resort — will be re-entitled by Douglas Wilson Companies for approximately 260 townhomes, apartments, and single family homes. Mr. Wilson is working as project manager coordinating land procurement, project design & entitlements.